Infatuated with pleats? 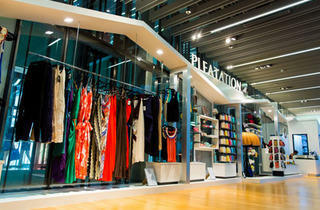 Welcome to Pleatation, the brand that makes all your ruffled dreams come true. Founded by Singaporean Chiang Xiaojun in 2012 after three years of managing a pleating production factory, the label offers fashion, stationery, lifestyle and home decor products. And yes, every single one of them features their signature pleats – the first to do so in Singapore. 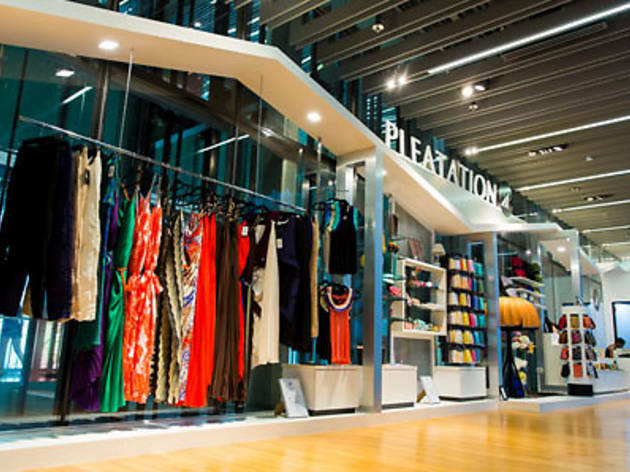 Originally only available online, Pleatation entered the real world in April and set up a brick-and-mortar boutique at Orchard Central, designing the small, narrow open space to look like a home with its roof structure and silver frames. Behind the stylish products is a three-step process: deconstruct, reconstruct and rebirth. Basic products are broken down and recreated with the addition of unique textures, functional constructions and manipulated fabrics, resulting in an entirely new look. And if you think pleats are boring, Chiang has collated a huge range of more than 100 types beyond the popular sunburst pleats we usually see in dresses and skirts, including styles like the ruched, treebark, waffle and crinkled ones. Try on any of their signature maxis for a night out, get your own pleated notebook to make a statement, or brighten up your home with textured cushion covers. The label will launch new collections quarterly, with new shades and prints added to existing collections each month.